The foundation of climbing. If you can’t use your feet, then you’ll be throwing away energy and climbing inefficiently. Explore what are the signs of bad footwork and how to improve yours by reading the Urbanrock’s Blog on footwork. In this blog, I explain how to determine if you are not placing your feet correctly and how to correct sloppy footwork including how to smear and foot-swap/match correctly. Most indoor climbers neglect their footwork to focus on more “obvious” weaknesses – such as strength and endurance. 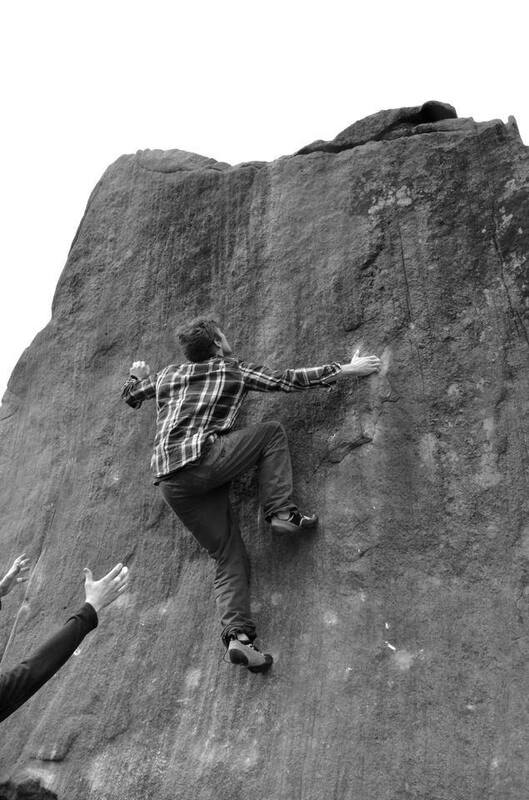 The truth of the matter is, start with the basics and improve what will dramatically improve your climbing. This is the first of the series of climbing technique, so keep an eye out and let me know your thoughts. 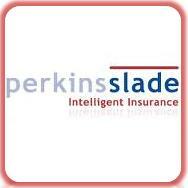 With a wet start to 2014, the majority of my climbing and coaching has been indoors. Winter, the season for us to train and the season for us to get ready for our projects, competitions and goals. However, with the seasons changing, so does our focus and the last few weeks has allowed me to get on the rock with my clients. For most of them, this has been their first experience ever, but it didn’t really hinder them at all. 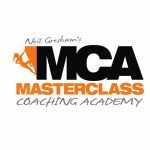 Three of the guys who came up with me are clients – two boys on the Surrey Sports Park performance squad (Sam and James) and Paul – an experienced mountaineer (Everest summiteer). It was all of their first time on Grit. With cold and windy conditions, they immediately absorbed themselves with the overwhelming friction on hand. 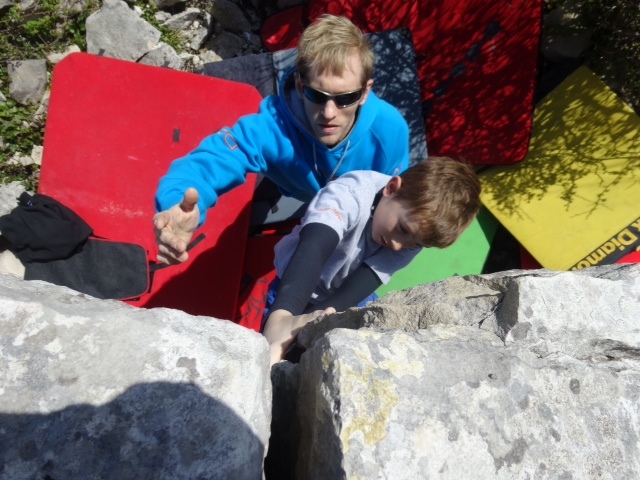 After showing them round a few classic warm-ups, we got stuck in (along with team Ireland) on the Green Traverse. From James and Paul, it allowed them to know this problem and have something to return for. For Sam, it was the start of the send train…an easy flash, great going for someone who had only been outside climbing once before. From here we went on to get very close to Zippy’s traverse, Deliverance and The Storm…we will be back for his unfinished business! The tips went through and it was time to leave, but enthusiasm was high – Paul went back for the following three weekends, dragging his wife along too (who also loved it)! Back with the Surrey Sports Park team, a few others and Guy Davenport – the other coach at Surrey. Again, for most, it was their first time on rock and from 8 year olds to 14 year olds (plus parents), it was great to set some goals. 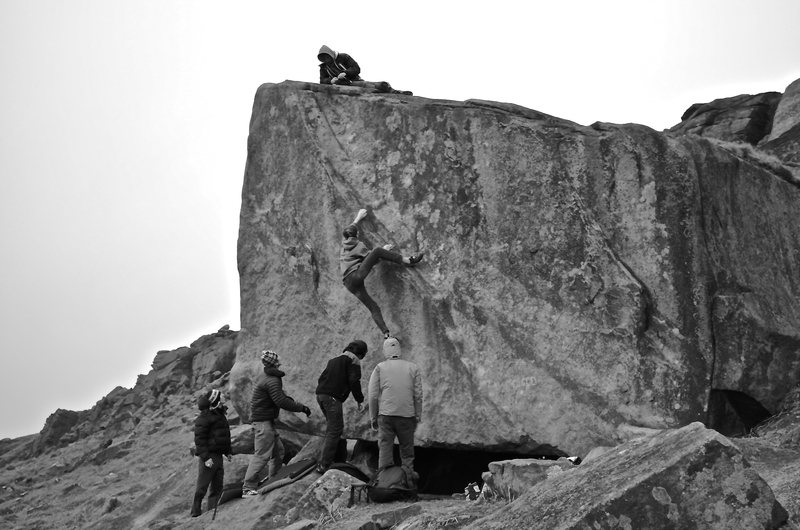 Bouldering was on the agenda at The Cuttings boulderfield with routes in reserve for later. Everyone made flashes of all of the Warm-Up boulder’s offerings, from VB to V3. 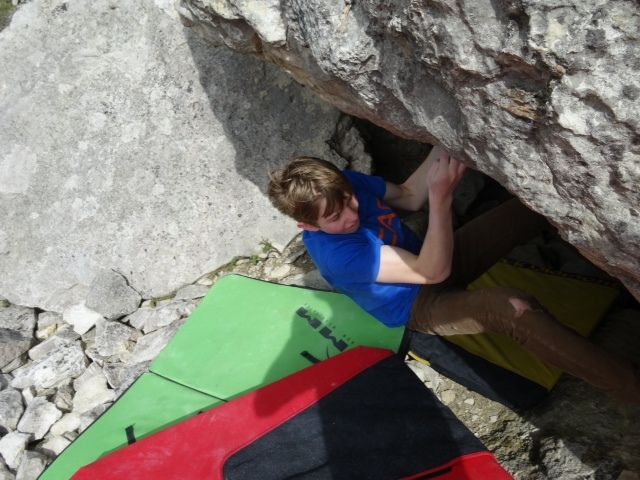 It was very impressive to see these youth climbers make short work of some tough in the grade problems. They all moved well and they were loving it…top outs were interesting at first, but once we went through how to (ideally) do it, the beached Whale approach stopped. Moving on to various V3s and V4s, the team did really well. Sam had joined us again and we set Lightning Strike as his goal for the day. 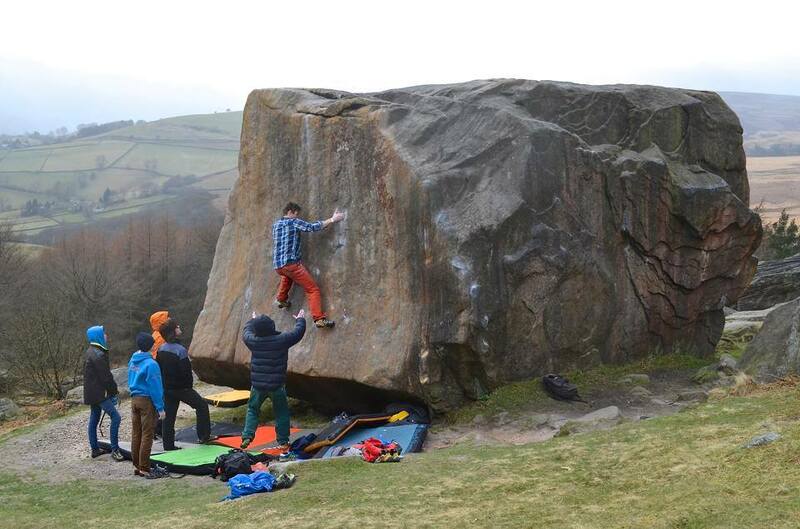 Lightning Strike is a superb boulder in the middle of the boulderfield. 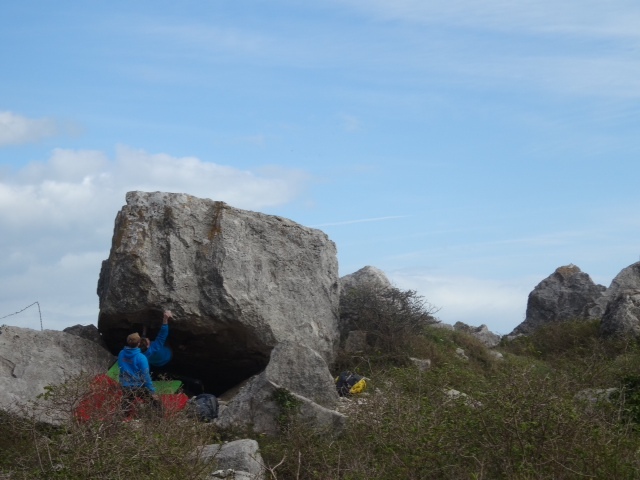 Starting in the roof of a cave and turning the challenging lip, the boulder gets V7 and I think it’s fairly good at that grade. We talked through the beta, showed him the holds and it was done…4th go a solid effort with some interesting footwork at the end! 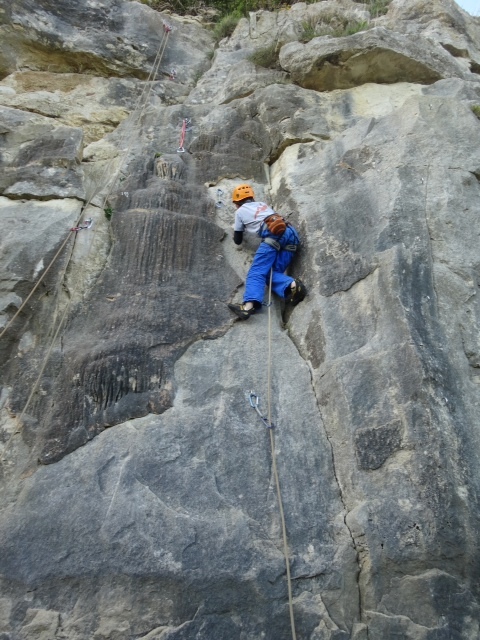 We moved on to some routes and it was good to see some good onsights of 5s and 6as from Rob and the others on some dubiously bolted routes. I’ve been down to Cheddar a few times this year and a route I want to do is still a wet streak amongst dry limestone…plenty more to do though. 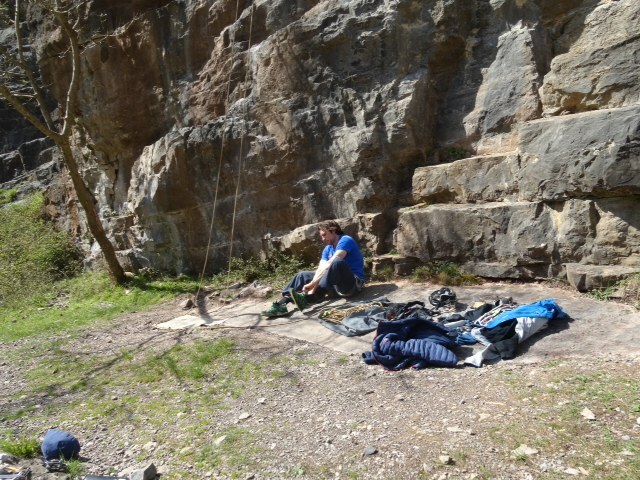 I went down on Friday with Paul (from Stanage) – and again, it was his first time at the crag (climbing). Paul has been training hard on a programme I have written him. 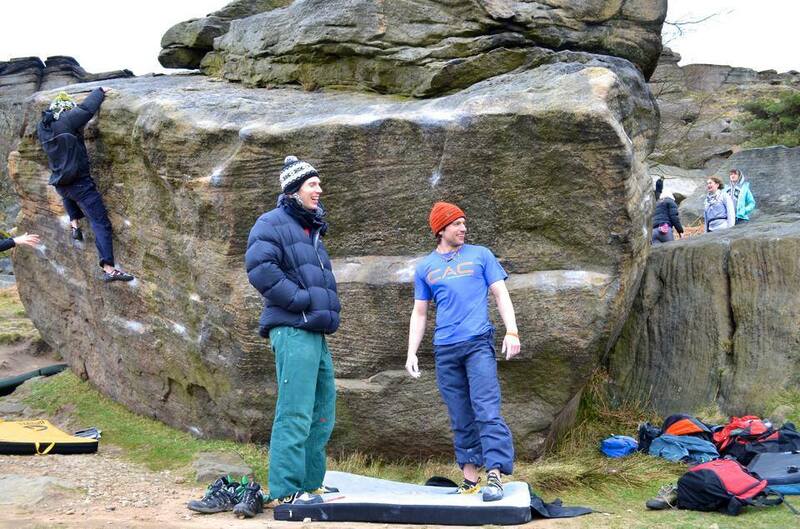 He certainly did well at Stanage, climbing some V4s and V5s which were personal bests at the time. 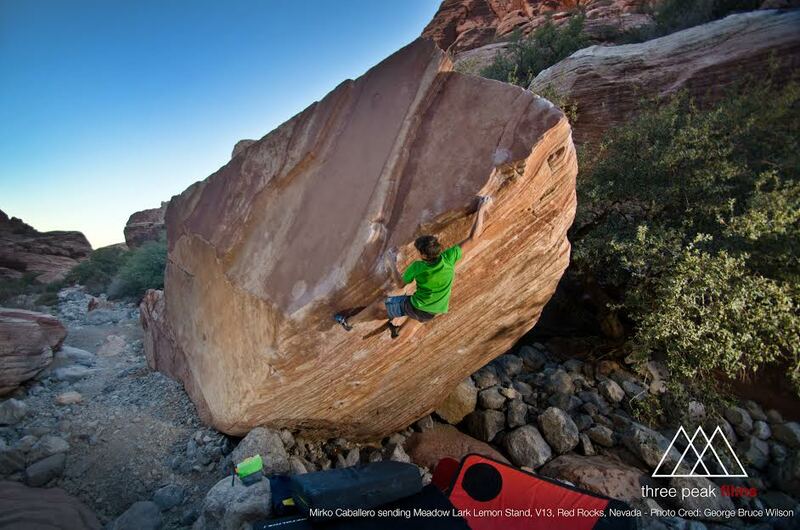 On sport routes, his previous PB was a 6b. Knowing how he had been climbing and his strengths/weaknesses I told him a few routes that would prove as good goals for the day. From here, we had a good rest period and started reminding ourselves of the beta – feet and hands, sequences, body positioning, clipping and shaking points. When to climb slowly, and when to pounce. Paul started off smoothly, getting to his first crux in short time. A little hesitation, but he was through. 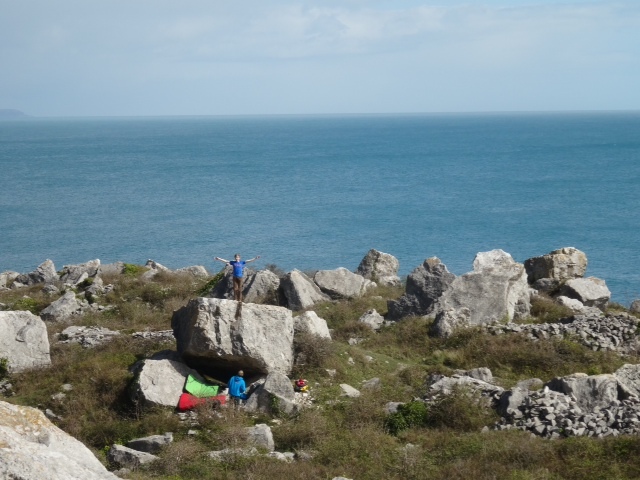 Now, onto the final crux and a big dynamic move…one miss fire, two miss fires, third time lucky, Paul gave it a little more and topped his first ever 7a! Great effort and a good day. I get a lot of satisfaction coaching people indoors, but this is only exaggerated outside for me. 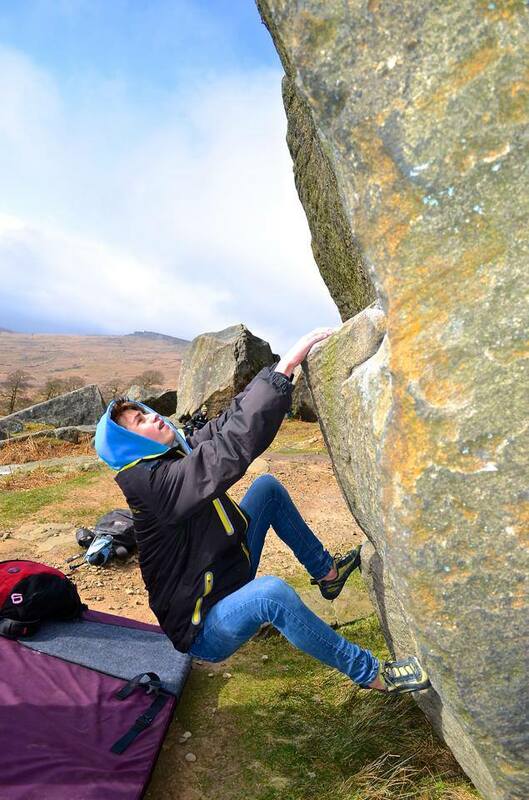 Seeing people experience different types of rock, new crags, new areas and new climbs is just amazing, but seeing them achieve their goals as well is the icing on the cake. Hopefully this weather is here to stay and with it, more days on the rock and more goals ticked. How to train hard and not get injured? 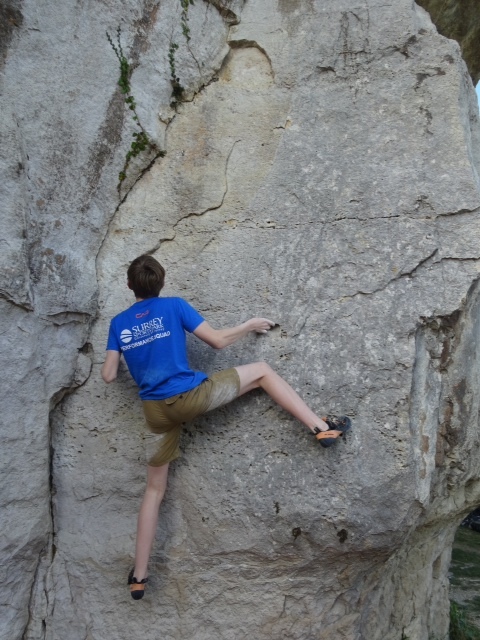 Youth climbing has become a hugely competitive aspect of our sport. 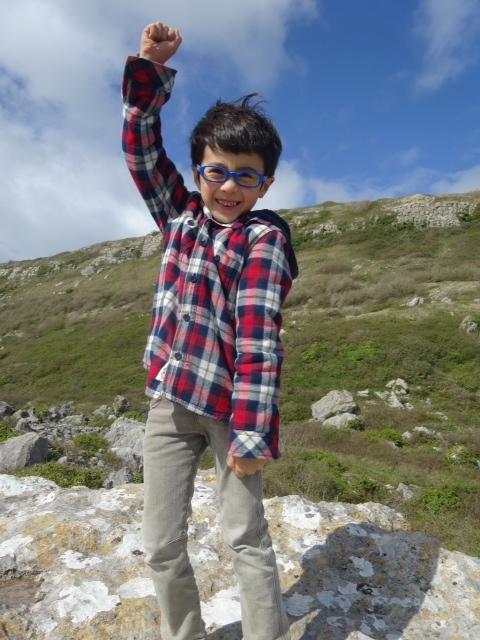 Today, we see the likes of Ashima Shiraishi, Mirko Caballero, Cameron and Jonathan Horst as well as Shawn and Brooke Raboutou climbing at an exceptional level at such a young age. 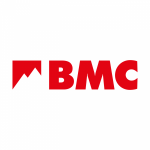 They are following in the footsteps of Alex Megos, Adam Ondra and of course Chris Sharma, Dave Graham and Tommy Caldwell. We see many guidelines on how to train safely for under 18s, but surely this would not allow these guys to achieve such high levels of performance? Do they fingerboard, do they campus board? Do they train? 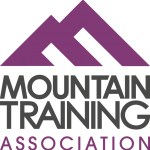 In my latest article, I have joined up with physiotherapist Nina Leonfellner to ask many questions about training safely as well as approaching Mirko Caballero, Molly Thompson-Smith, Sierra Blair-Coyle and Alex Megos, asking them how they are climbing at this level at their age? Did they follow these “guidelines”? Have they ever been injured? Do they have any words of advice for the next generation? Find out more by reading my latest article on UKClimbing.com here.